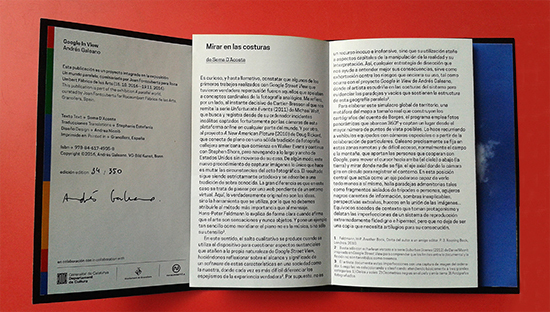 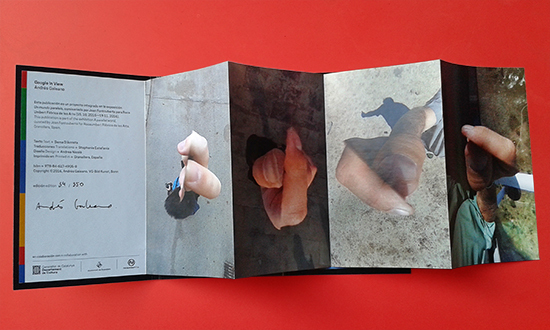 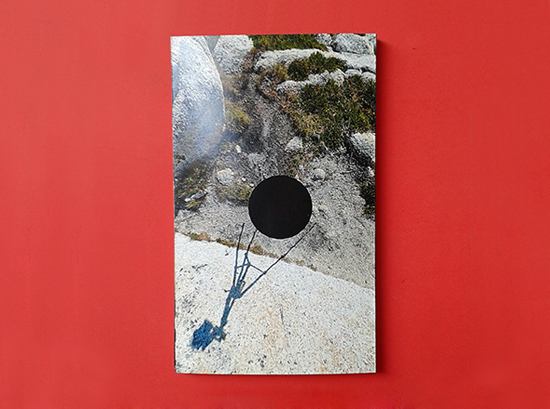 Book design for the spanish artist Andrés Galeano, on the occasion of the exhibition “Un mundo paralelo”, curated by Joan Fontcuberta at Rocaumbert Fàbrica de les Arts, 2016. 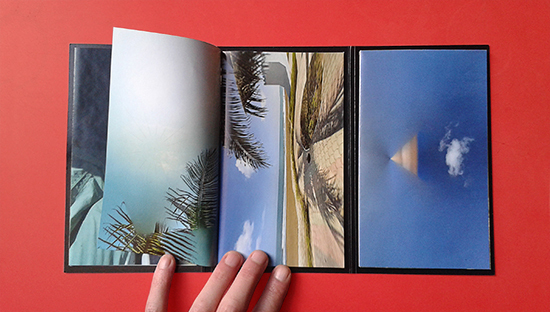 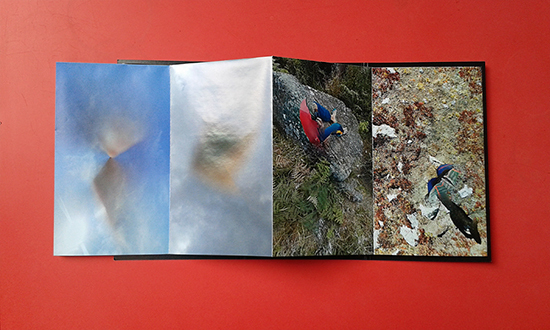 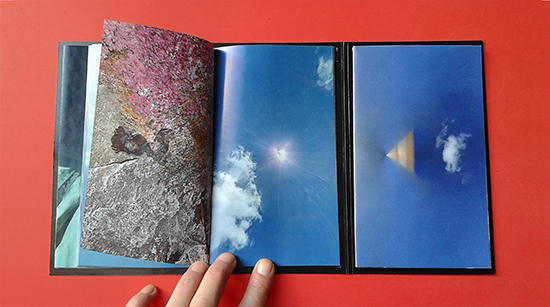 Conceptually meant as a touristic guide, the photo-book consists of the following parts: a three-pages cover, one booklet of 44 pages and 2 leporellos of 5+5 pages (one of them is double-folded and opens up as a poster). 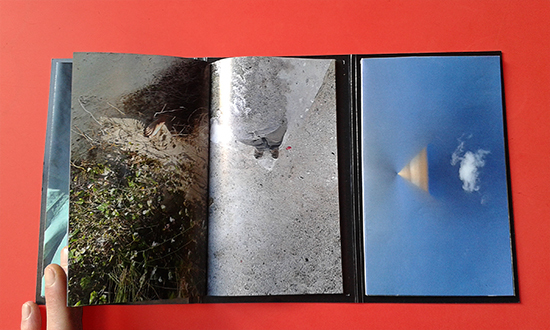 Signed edition of 350 copies. 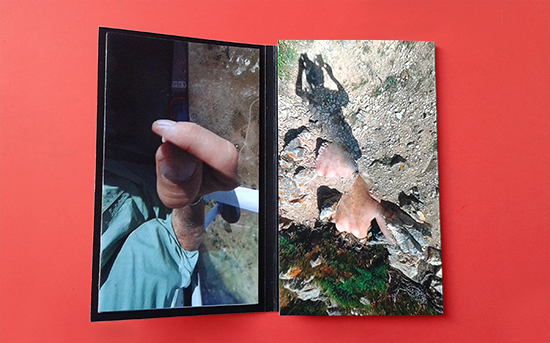 Printed in 4/4, closed format 11,5 x 19 cm. 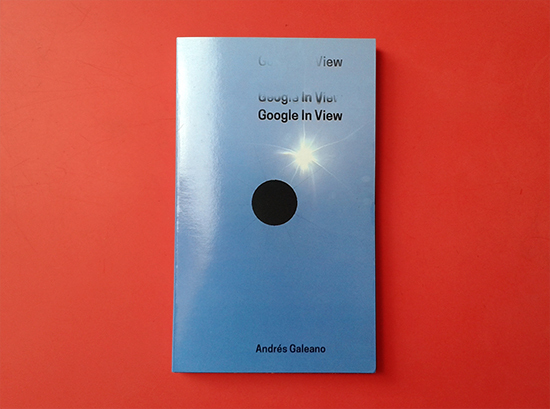 Critical text by Sema D’Acosta, both in Spanish and English. 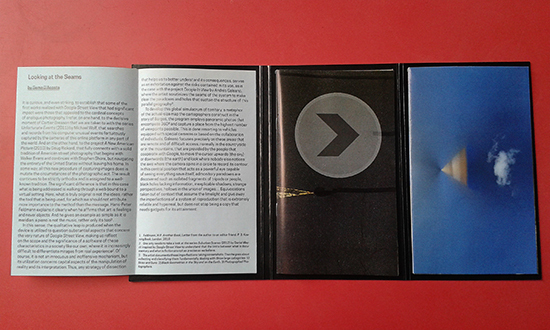 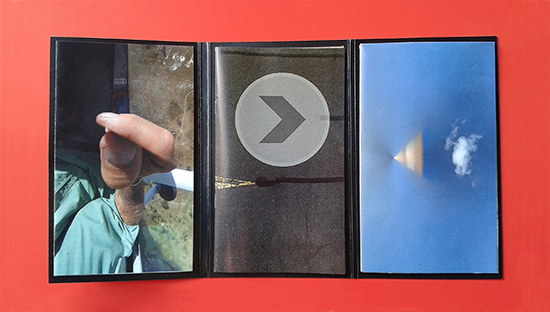 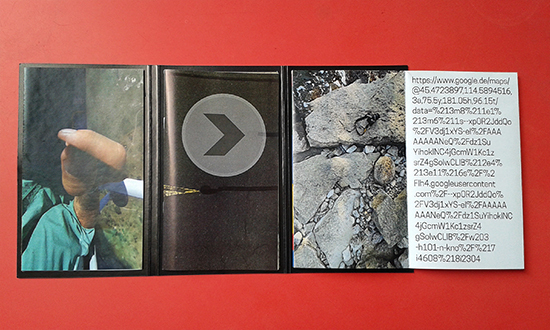 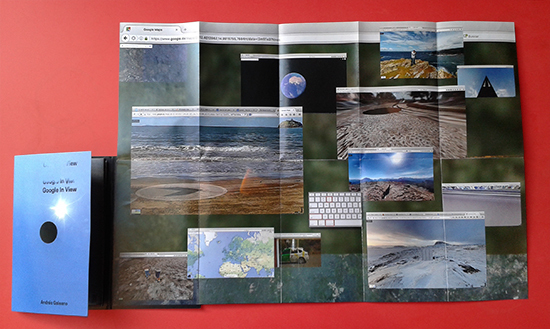 Inside the publication, from left to right, the first leporello, the booklet, the second leporello.